What is the supply chain for this product? In general, your objective as a writer is to explain the supply chain for this product. This is not a well-known name brand, and it does not have a website. Therefore, you must speculate or imagine, using the few factual details that you have about the product, listed on its packaging. How did this product get to the United States? (It was recently purchased at a ‘bodega’ neighborhood store called Rollins Market, in Tempe, AZ.) Describe the product (in context of snack foods segment in Food and Beverages sector); also, notice and describe the simple ingredients listed in the Nutrition Facts section of the packaging. Is this a rich, fancy, delicious food product, or is this a plainer tasting product? What method(s) of transportation was/were likely used to bring this product to market? Who is the buyer and/or what is the market? Also, analyze the price point: Create a simple table (7 x 4) that includes these data points; you will need to extrapolate the numerical data based on the $1.49 price point. 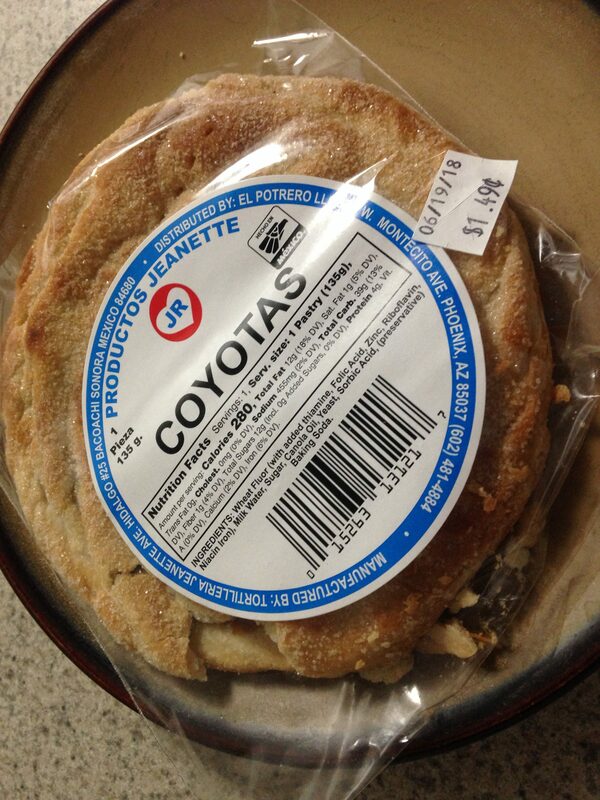 Finally, speculate on the name of this product; why do you think it is called ‘Coyotas’? Format: Answer all these questions in a single unified paragraph in MLA format. Best Practices: Parse the prompt so you cover all required content.